We handle and store your personal information in line with the General Data Protection Regulation (GDPR) . 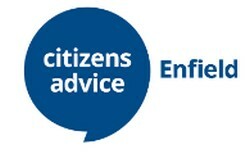 By using the Email Advice Service you agree for our adviser to contact you by email to help you. The email team currently consists of 2 part-time volunteer Advisers. We will try to respond to your enquiry within 10 working days. However, when we are particularly busy it may take longer. We aim to provide basic advice and information with relevant self-help fact sheets and links to useful sites to assist with enquiries.